At Wellesbourne CE Primary School, we make sure our pupils are aware of the risks online and what to do to stay safe. We have a set of SMART rules which the children are expected to follow at home and in school to make sure they stay safe online. These rules can be viewed below and should be followed when using all kinds of technology such as mobile phones, games consoles and home computers. We are getting a lot of children who are using WhatsApp – here is an essential guide for parents – please read. View our school’s e-safety rules below. We also encourage parents to set up filtering on their home internet. To learn how to do this for the major providers of internet, please click the text below. 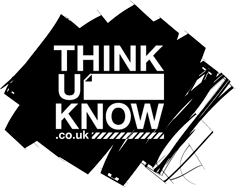 We also suggest parents visit the website link below for up to date information on Facebook privacy settings, as whilst we know that no children under the age of 13 should be on Facebook, if they are, then they should be educated as to how to ensure they are safe. In school, children learn about E-Safety through lessons and assemblies. 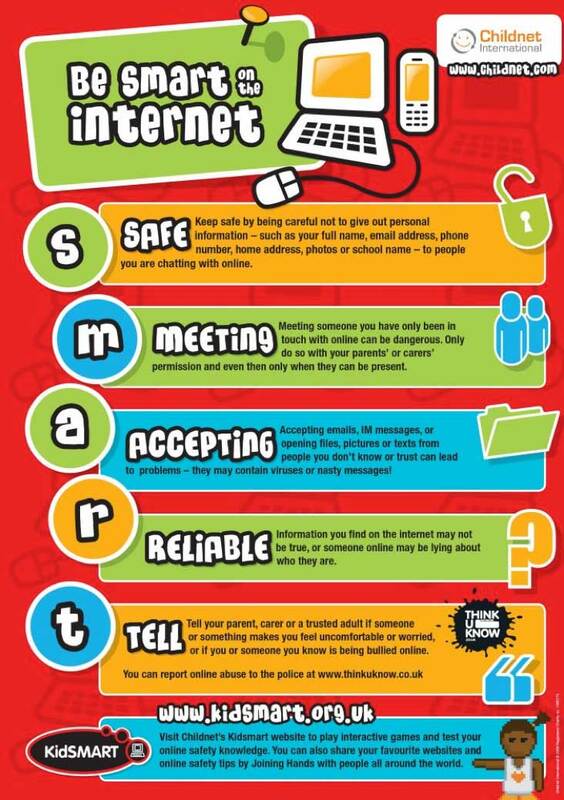 We also encourage parents/carers to talk to their children about how to behave safely when online, to ensure pupils remain safe when browsing at home. At the start of April, we held an Internet Safety Meeting at school for Parents. If you would like a copy of the leaflet that was handed out to Parents, then please click on the link below. If you have any concerns about safety online, please contact the school. Resources for Children Visit these excellent Think U Know and Kidsmart websites with your children for more information about how to stay safe online by clicking the links below.